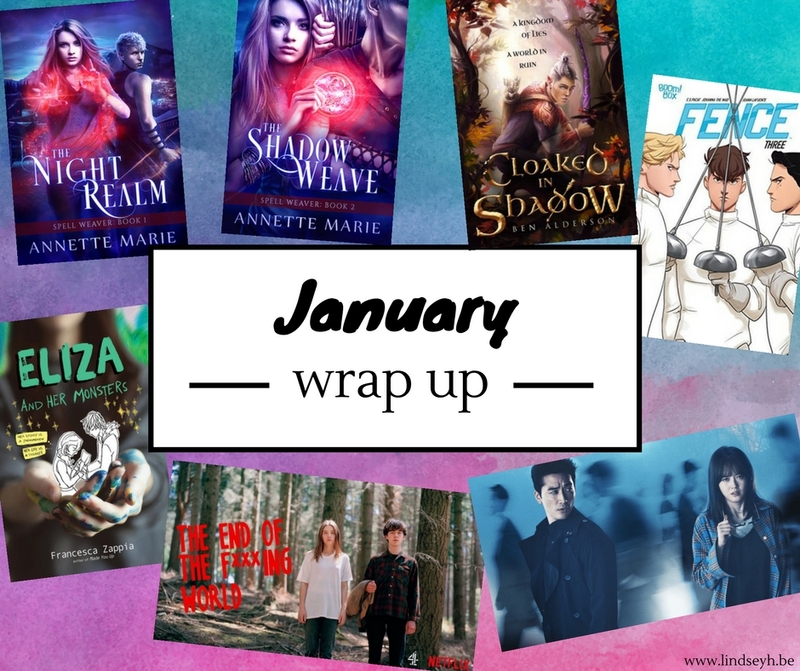 Hi guys, and welcome to my January wrap up! My reading in January has been pretty average, quantitywise. I read 5 books, among which a comic, which is not a lot but also way better than some of last years’ slump months so I’m pretty happy with it. Qualitywise, some of those books have become all-time favorites which is definitely a bonus. Also, I watched some AMAZING tv this month and spent quite some time enjoying those worlds so overall, I’m pretty content about the stories I chose to start my year with. Here’s what I’ve been up to in January! Overall, I did enjoy this book. 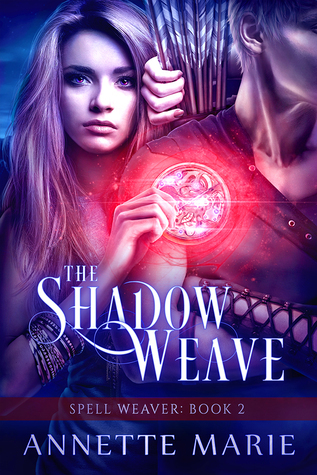 It’s a fast-paced, magical fantasy that’ll easily sweep you away into the fantastical world Ben has created. I was hooked from the very first chapter and read the whole book in a matter of days. The pacing is fast and will easily keep you on the edge of your seat. The worldbuilding is intriguing and it is clear that this is only the beginning. With that said, I unfortunately also have a few things about the book I loved a little less, such as a few plot lines that didn’t make sense, stilted dialogue and a rushed ending. But I’m sure these are all things that can be improved upon by the next book and as such, I am still pretty excited to read more in this series, and to keep an eye on anything Ben writes next! Annette Marie has done it again. I know I shout about my love for her books constantly, but seriously, she is definitely one of the most underrated authors out there. I have loved every single book I have read by her and they all give me the same symptoms: losing interest in anything not involving reading the book, trying to do the necessary everyday things like walking, eating or brushing my teeth while reading the book (some more succesful than others), and occasional emotional outbursts because I get way too attached to the characters. Well, I just realized that this was my ELEVENTH Annette Marie book which I read AND absolutely adored. I think it’s definitely safe to call her my favorite author by now. I just can’t quite believe she isn’t more known and loved because these wonderful stories deserve so much recognition. Luckily, I am here and ready to rave about all things Annette Marie. I just adore this series. It reduces me to a swooning, smiling, raving fangirl and I wouldn’t want it any other way. This book was adorable, real and relatable and I am just sorry I had this on my shelf for months and took so long to read it. Because once I finally started… I finished it in about 2 days. It’s that good. Overall, I adored this book and highly recommend it. If you love fandom stories, a whole lot of internet dynamics, great mental health rep, relatable and adorable characters, online friendships and flawed but lovable families, then Eliza and her Monsters is THE book for you. I love this comic and the third installment is no exception. 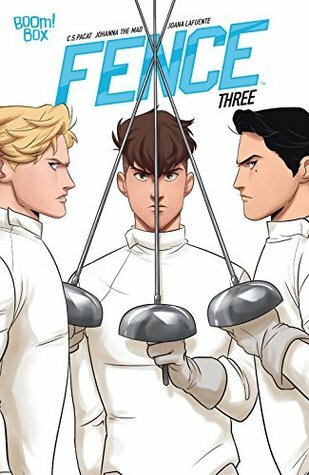 Here we dive a bit deeper in the mechanics and rules of fencing, which I really needed because I knew absolutely zero. We are also introduced to a bit more secondary characters. I just kind of wish I hadn’t started this series yet, because each installment is so short and it would have been better if I could binge-read it, but now it’s too late because I’m already addicted. Lindsey Reads Turns TWO! Blogoversary Give-Away. This give-away has now ended, congrats to the winner, Antonela! Musically there wasn’t much new this January for me. I know there are a few new releases out that I need to listen to, but I just overall have not listened to a lot of music this month. Something to work on in February for sure, because nothing beats the rush of discovering a new song, album or band to love. I haven’t been the biggest fan of Taylor Swift’s new album, but I do really like End Game. It’s possible this has something to do with Ed Sheeran, whom I adore. Yay for new music by Troye Sivan! My my my is the kind of song that I didn’t absolutely love at first listen, but that gains more love with each new listen until I’m obsessed. I think BTS has been present in nearly every music wrap-up for the past months. This month I’ve been obsessed with Go Go, because this heart-filled performance for their fans is just TOO ADORABLE. I don’t think I could adequately describe my joy when I discovered this kdrama on Netflix. Firstly, because I had never seen any kdrama on Netflix before (there are a few now) and secondly, because I had already heard some great things about Black so I couldn’t wait to dive in. Black is a paranormal mystery/thriller about a woman who can see when and how people are going to die and a grim reaper who gets caught up in a mystery spanning 20 years. Honestly, the first two episodes were not my thing as I was just super confused about what was going on and I had some trouble connecting to the characters. But once I was a little more into it, I was hooked. This is an absolutely amazing drama with a mystery that is super intriguing and will keep you guessing and on the edge of your seat, with characters that will have you drowning in emotions. I LOVED every single one hour and a half episode. Only downside was that the ending left me all confused again and I still have soo many questions. I thought this would just be a nice little show with some dark humor. I didn’t expect it to make me feel so much. I didn’t expect to connect to James and Alyssa, a boy who thinks he’s a psychopath and a girl with a destructive personality, at all but they ended up in my heart anyway. I definitely did not expect to sob my way through the final episode, but boy did I sob. If you love dark and gritty shows, with a ton of dark and in-your-face humor, complex and multidimensional characters and an emotional wringer of a plot, I’d highly recommend The End of the FXXXing World. I did go ice skating for the first time in years. I never was very good at it, so I was super nervous to even try it, but to my surprise I managed okay. I tried to channel my inner Yuri on Ice, pork cutlet bowl fatale, and well I’m no Yuri by far, but I did not fall so there’s that! Between you and Di, I keep feeling the need to start Annette Marie’s books!! I actually have an eBook of Red Winter, so hopefully I can get to that soon. I’m sure I’ll love it! Glad the work event went well in the end, even if prep was stressful. I can imagine how exhausting it must have been. I love winter, from behind a window in a nice warm room but there it kind of stops, haha 🙂 Glad to hear you do love it though! January is basically the worst month – the weather is terrible and there’s no holidays to look forward to! Hope you have a great February! Yeah exactly! I can understand why this month has a day called blue Monday, but I am looking forward to February 🙂 Have a great month! I’m glad you liked Eliza and Her Monsters. I still need to read that one. I’m also ready for winter to be over. Once Christmas is done, winter is just cold and dark. I hope you have a great February! I really hope you’ll enjoy Eliza and her Monsters! Yes, the holiday atmosphere should defintiely last a little longer to make the rest of winter more pleasant 🙂 Have an amazing February too! I LOVED The End of the FXXXing World, definitely hope you’ll enjoy it as well if you decide to give it a watch. Glad to hear that you are still loving Annette Marie. Thanks to your glowing reviews, she’s on my list of authors to try this year. I’m with you on being done with Winter. I’m so over it and ready for Spring and warmer temps. Definitely, bring on Spring and sunshine! Ah I’m glad to hear I’m not the only one done with Winter in January. Luckily February is a short month and March means the beginning of spring! Wow, you were busy this month! So many great things. I l really like ice skating, I used to figure skate and it’s so much fun. My January was a little slow reading wise, I’m trying to figure out some things I want to accomplish this year and what I need to do to make that happen but otherwise it was a good month. Brittany recently posted…The Cruel Prince Blog Tour: Favorite Covers with Crowns! That’s so cool that you used to figure skate! I love watching figure skating, but I’m pretty bad at skating myself. Though I’d love to practice a bit more ! I hope you’ll figure out your goals for the year and wish you all the luck with them!